ELGIN — If there’s one thing which identifies Class D schools across Nebraska, it’s numbers. That holds true for the Wolfpack. Elgin Public-Pope John Coach Michael Becker, beginning his third year at the helm of the team, has just nine boys out for basketball. The low numbers may limit what a team can do in practice to get ready to play, but it doesn’t diminish the will to have a winning season. 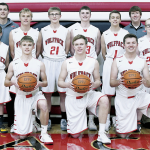 The Wolfpack return a nucleus of players who saw extensive action last season, led by senior Kyle Schumacher who averaged 9.5 points per game last year when EPPJ compiled a 4-17 record. He and his teammates will try to improve on the scoring end of the court where they averaged 43.5 points per game. Junior Conor Ramold returns to fill one of the two guard positions on the court. Ramold averaged 4.7 points per game and was second on the team last year in steals with 29. The duo, and others on the team, will need to step up their game to make up for the loss of senior Hunter Reestman who had surgery at the end of football season and will not be able to play basketball. Another junior who kept improving as last season went along is Adam Dreger. “He’s a kid who, when he steps on the floor, gets better every time,” Coach Becker said. Dreger, he said, with his 6’1” frame, is being counted on to score more this season. Dreger and Schumacher are the two tallest players on the team. Having seen limited action earlier in his Wolfpack career, senior R.J. Lierman is another player whom Becker is counting on to improve and be a factor during the season. Other players completing for playing time are sophomore Layne Bullock and freshmen Colton Wright, Trinity Graham and Blake Ofe. “We’re going up-tempo when we can, but there’s a fine line to get some easy buckets and still make sure you have some energy for later in the game,” Becker said. 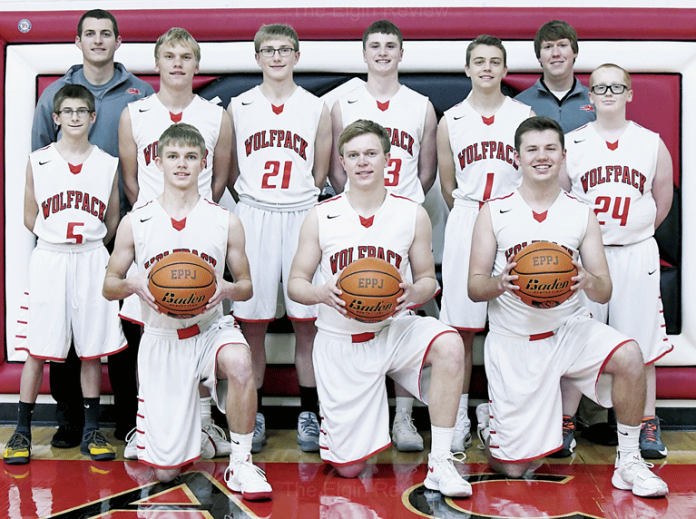 The Wolfpack will open the season at home Friday night, Nov. 30, against Niobrara/Verdigre.